Last week, we learned to use the Linear and Radial Selection tools. 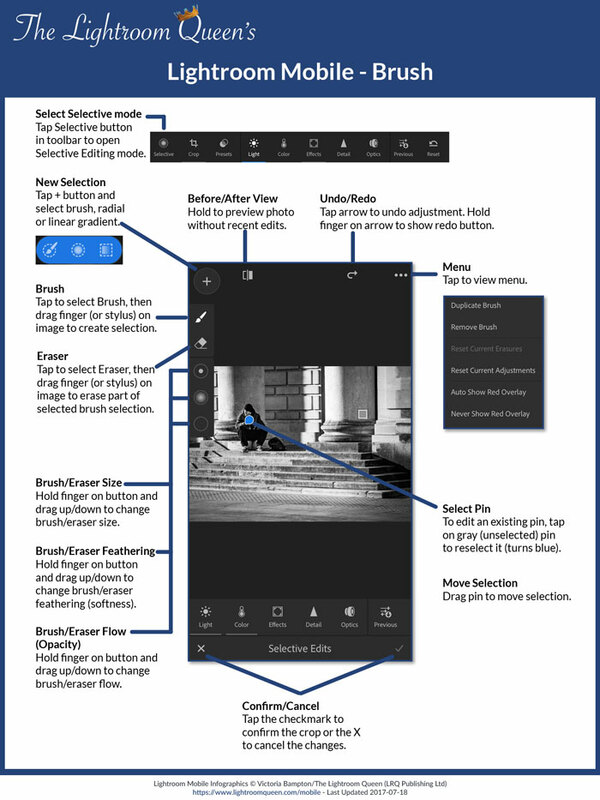 This week, the brush allows you to apply edits to specific areas of the photo. It works well with a finger, but even better with the Apple Pencil on an iPad Pro. Here’s the instructions for all of the mysterious icons! There’s no spot removal or similar retouching tools in Lightroom mobile, but you can open photos directly into another photo app by tapping the Share menu. The Edit In option opens the photo into Adobe Fix to use Liquify or Healing or Adobe Mix to cut out, combine and blend images using layers. Selecting Open In displays a selection of other installed apps that can accept photos, for example, iPhoto or Photoshop Express. Next week, we’ll tie it all together and try editing a couple of photos from start to finish using a range editing tools. I can’t find the brush on my Galaxy S8; I only see the radial and gradiant selective edit tools. It was a very recent addition on iOS, so I’d expect it to arrive on Android before too long. 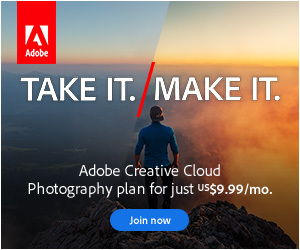 I can’t find the cleaning an repairing brush in Lightroom CC mobile , like in the Lightroom desktop version. Do you have any idea why ? Or this fuction don’t exist in LR CC mobile ? 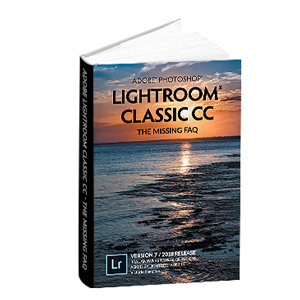 That sounds like the new Range Mask tool in Lightroom Classic. Not sure what it’s called but I’m quite sure there used to be that feature on Lightroom mobile (iOS). I was wondering if you would know if such a feature still exists in the app. Or if something similar has replaced it. Much thanks! I’d need to know more Alicia. For a start, what kind of device are you using! iOS or Android? And what happens when you try to use it? Do you have an active subscription?